Action Sheds Australia has erected a lot of farm sheds, storage sheds, machinery sheds and Durastall stables in the Perth WA area. One thing they all have in common is that they need to be properly ventilated near the roof area. While many think that ventilation isn’t necessary or could even be a detriment that affects the integrity of their shed, they are wrong. Ventilation can reduce or even eliminate condensation problems. If reducing condensation was the only benefit to be derived from vents, they would be worthwhile, but there are even more benefits. Ventilation helps to balance the difference in temperature between the space at the top of the shed and the outside air. This has been found to improve energy efficiency and help maintain the roof’s structural integrity. When combined with reducing condensation, it keeps the roof stronger for a longer period of time. When condensation and moisture are left inside of a shed, it can cause the materials to absorb moisture, thus weakening the structure of the roof and of the entire shed. Ventilation is a simple solution that is totally passive once the vent is installed. It is basically a “set it and forget it” solution; once the vent is built into the shed, you don’t have to worry about it. Your shed gets air circulation and lasts longer. 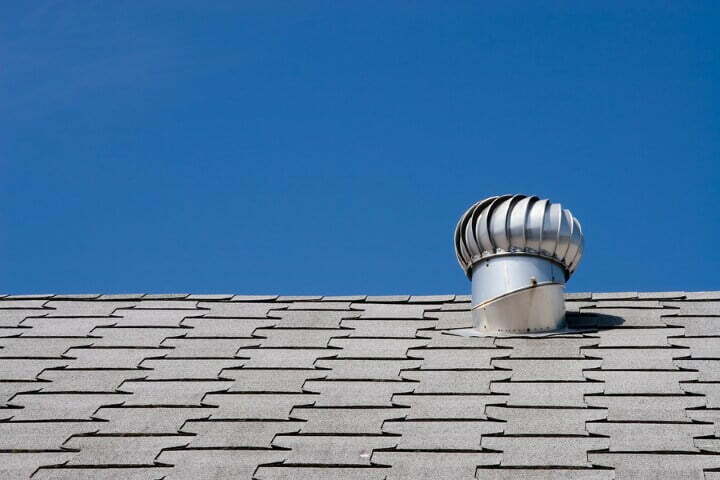 At Action Sheds, we can provide you with a ridge vent, a standard roof vent or a gable vent. The ridge vent is built into the roof and is a good exhaust vent. The standard roof vent sticks out of the roof and can include a fan. This is a great option for most sheds. A gable vent, which is like a small window on the gable with ventilation, is also an excellent option for many. They are placed on the front and rear gables and allow cross-circulation. We like a combination of as many vents as possible to keep the air flowing through your shed. Ultimately, ventilating your shed provides a much better user experience. There are no musty odours and no “stale” air. Your belongings are safe and protected from deterioration and you can breathe easy. Call 1300 778 628 today.